Good, reliable, conscientious PCV drivers wanted. Applicants should apply either online or in writing to Neil Hatcher, General Manager with details of experience and references. 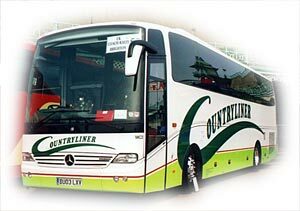 With nearly 80 years experience in the coach industry, Countryliner Coach Hire provide luxury coach hire and local bus services. We specialise in business travel, club events, extended tours, airport transfers, sightseeing trips and school trips throughout the UK and continent. Our rates are very competitive too, whether for a short day trip to London, a tour of the UK or Europe. Each trip or tour can be tailored to suit your needs from recommending itineraries to booking ferries, or whatever your journey requires. Want to Hire a Coach for days out Weddings or a Party?